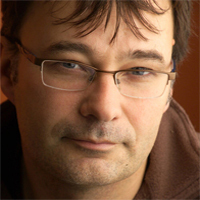 I am so pleased to welcome author, Jon Walter onto the blog. 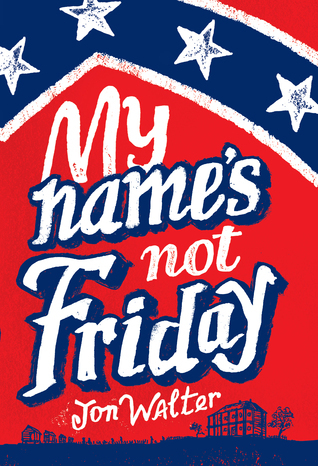 Jon Walter has a brand new YA book coming out, called My Name is Not Friday, which is historical, set during the Civil War. I was once plucked from a gift shop on the Isle of Skye and whisked away for a photo-shoot with Vogue. They dressed me in clothes I could never afford to buy then asked me to herd sheep. The result was a single published shot with me standing out of focus in the background. Probably the best result all round. The first two hundred words of my new book, My Name’s Not Friday were written in a moment of blind panic during a Malorie Blackman workshop. I was on an Arvon foundation course and had 10 mins to write something that used any sense other than sight. The piece I wrote appears in the book pretty much the way it came out at the time. I was once smuggled into the House of Commons in the back of a minister’s car. I can’t say who or when but it was fun and much less dodgy than it sounds. When I was 12 years old, I made a deal with God to get out of a tight situation and it worked. I kept my side of the deal for 4 years before discovering God had been declared dead the previous century and so the contract was null and void - but the experience provided a lot of material for My Name’s Not Friday. I buy twice as many books as I can read. Sometimes I give the ones I don’t read to friends as presents. This is the only secret I have from my wife but I think she may suspect me. I own a football club. It only costs me £30 a year and I’m one of over a thousand owners. But I own a football club. That’s the important bit. I even have a badge to prove it. Samuel's an educated boy. Been taught by a priest. He was never supposed to be a slave. An extraordinary tale of endurance and hope, Jon Walter's second novel is a beautiful and moving story about the power of belief and the strength of the human spirit, set against the terrifying backdrop of the American Civil War.